For the first time in over six years, the 2017 Jetta lineup will include the exclusive Wolfsburg edition. The highly sought-after Wolfsburg editions have long been a Volkswagen staple which mark the final year of the current generation of their vehicles. For the Jetta, we last saw the Wolfsburg edition when they released the MK5 version in 2010. The Wolfsburg edition presents Volkswagen fans new and old alike with the opportunity to own a limited edition VW that includes features you just won’t find on other Jettas. Equipped with the incredibly fuel efficient 1.4L TSI engine, the Wolfsburg edition is available now at Volkswagen of Kamloops. One of the first things you will notice on the Wolfsburg Edition is the beautiful LED daytime running lights that accent the already distinct front grille of the Jetta. These will immediately distinguish the Wolfsburg Edition from other 2017 Jettas, and give the car a very refined, upscale look and feel. The rest of the exterior is complimented nicely with the distinctive Wolfsburg Edition badge on the sides of the vehicle, as well as 16? alloy wheels and rear spoiler to finish the look. 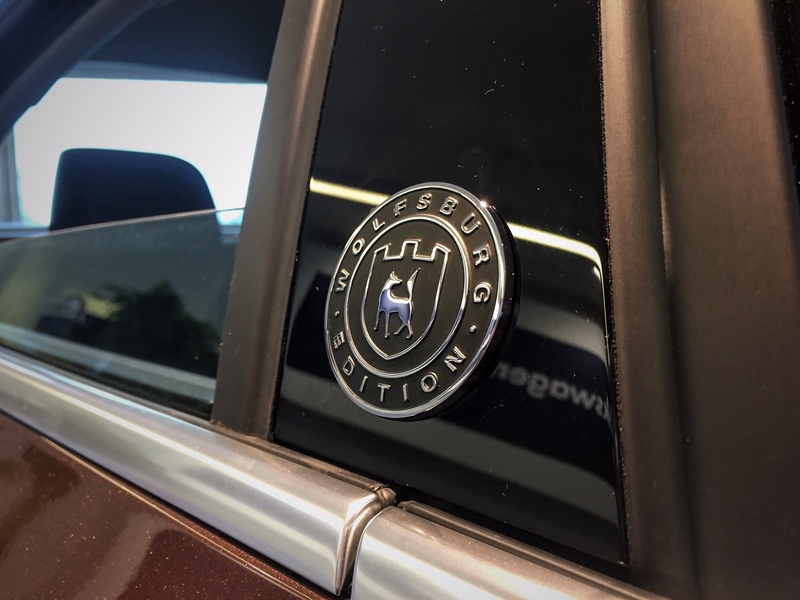 As soon as you open the door, you will see what truly sets the Wolfsburg edition apart. The tone of the interior is set by the distinctively stylish Wolfsburg cloth seats. The 6.33? infotainment system comes standard with AppConnect, which allows you to directly connect your Apple or Android devices. Piano black accents surround the dash, instrument cluster and gearbox, a feature usually reserved for highline Jettas. Also included in the Wolfsburg edition Jetta is our KESSY keyless entry system, which means you never have to take your key out of your pocket. Other great features included in the Wolfsburg edition are dual-zone climate control, full electronic seating controls and leather-wrapped steering wheel and handbrake. The Wolfsburg edition Jetta gives customers the chance to get many premium features usually reserved for highline Jettas at a much lower price point. It’s perfect for people who love cloth seats, but want the features that come with higher trim levels, which most often are equipped with leather seats. The best part of it all? You can get all this while making fewer stops at the pump. Under the hood is the turbocharged 1.4L TSI engine, a two-time winner of the International Engine of the Year award.